Disclosure: this post is sponsored by Always and Target. Courage, sacrifice, determination, commitment, toughness, heart, talent, guts- that's what little girls are made of.......and Girls OnThe Run recognizes, nurtures and embraces it all. Did you know that starting at the age of nine, girls’ confidence begins to drop and by the time they reach the age of 10, their physical activity levels also begins to decline and continues to decrease throughout adolescence? 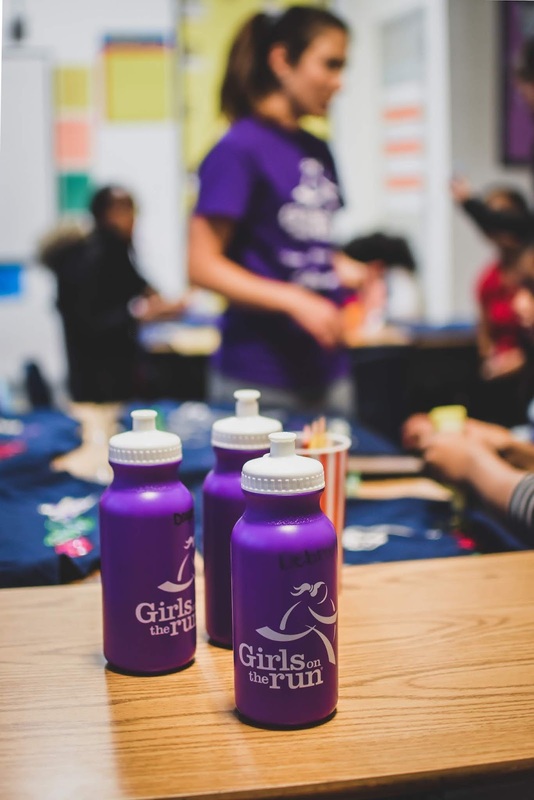 In the spirit of continuing to support these young girls, I recently partnered up with Always and Target to raise awareness of Girls on the Run (GOTR), an organization that is dedicated to uplifting adolescent girls through social, psychological and physical skills. 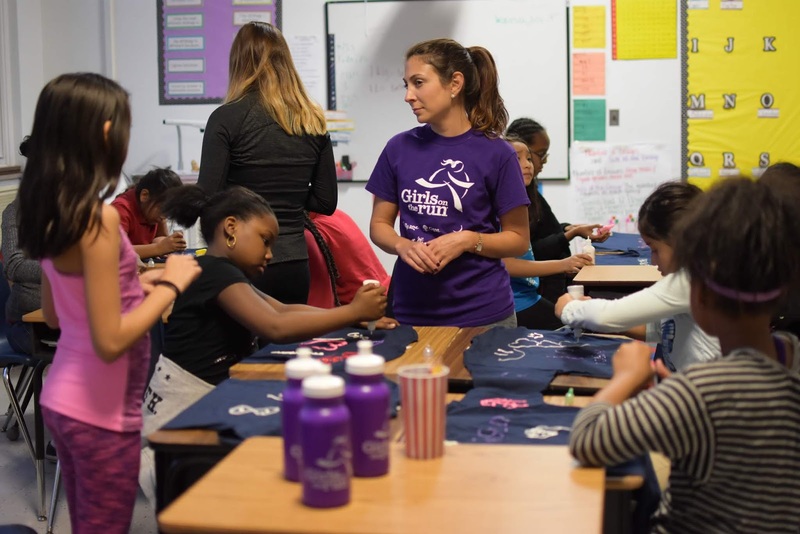 As a brand that has been dedicated to building girls’ confidence for over 30 years, Always understands the importance of Girls on the Run, which is why the organization partnered with Target to support Girls on the Run for a second year in a row. 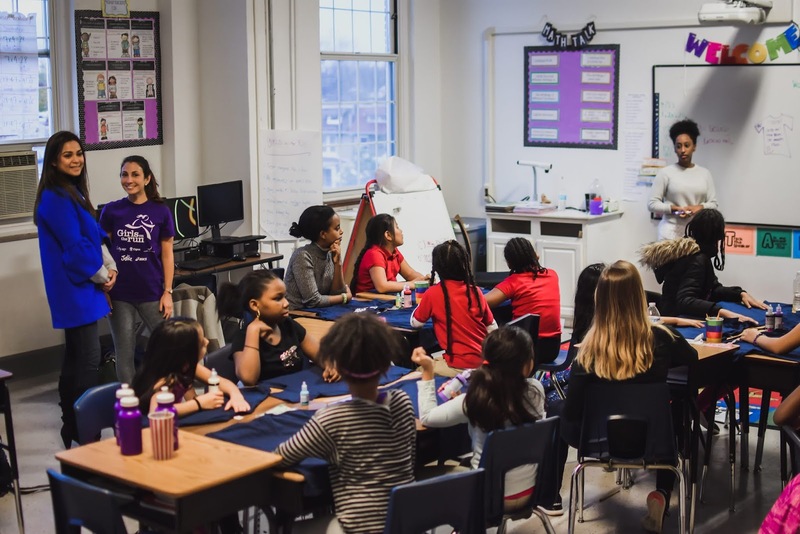 Together, Always and Target have contributed $1.8 million to help move Girls on the Run closer to meeting its goal of serving two million girls by 2021. I had the chance to meet and chit-chat with a local GOTR coach. I also participated in a couple of their weekly sessions and witnessed the girls triumphantly cross the finish line at the 5k celebration this past Sunday. It was such an amazing two weeks. I’ve learned so much from these young girls- hard work, unity, determination and fearlessness. This experience will surely serve as a constant reminder of how privileged I am to be a part of this community, where my daughter ( perspective GOTR member) can grow, express, embrace and be herself fearlessly. 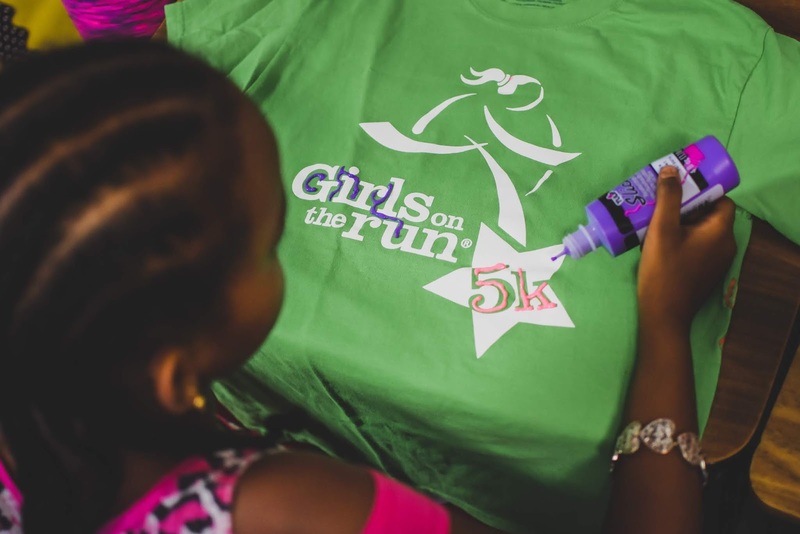 Girls on the Run is a 501(c)3 non-profit organization dedicated to creating a world where every girl knows and activates her limitless potential and is free to boldly pursue her dreams. The girls meet twice a week after school as a requisite of their 10-week curriculum. 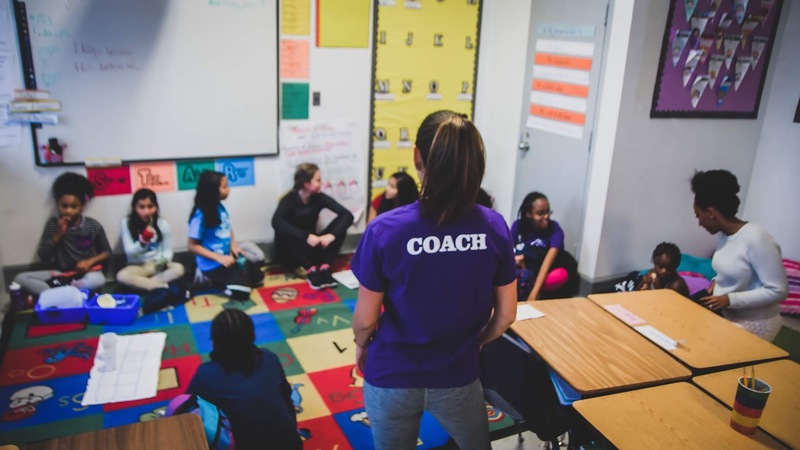 The curriculum is taught by certified Girls on the Run coaches and includes three parts: “understanding ourselves, valuing relationships and teamwork and understanding how we connect with and shape the world at large”. Running is an important part of their curriculum. 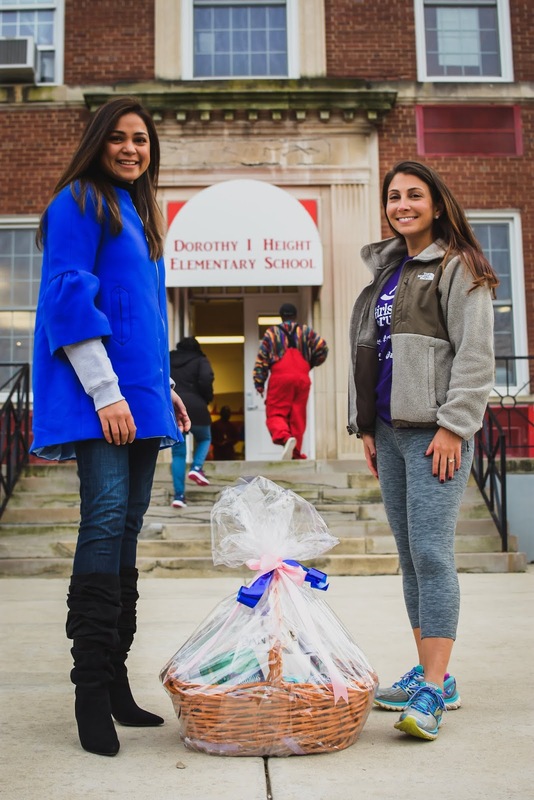 At each season's conclusion, the girls and their running buddies complete a 5K celebration, which gives them a tangible sense of achievement as well as a framework for setting and achieving life goals. 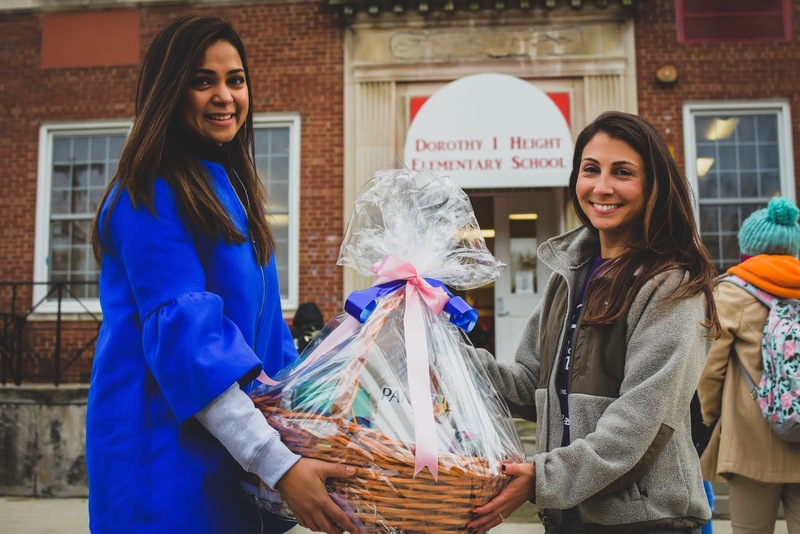 The result—making the seemingly impossible, possible, and teaching girls that they can achieve their dreams with hard work. 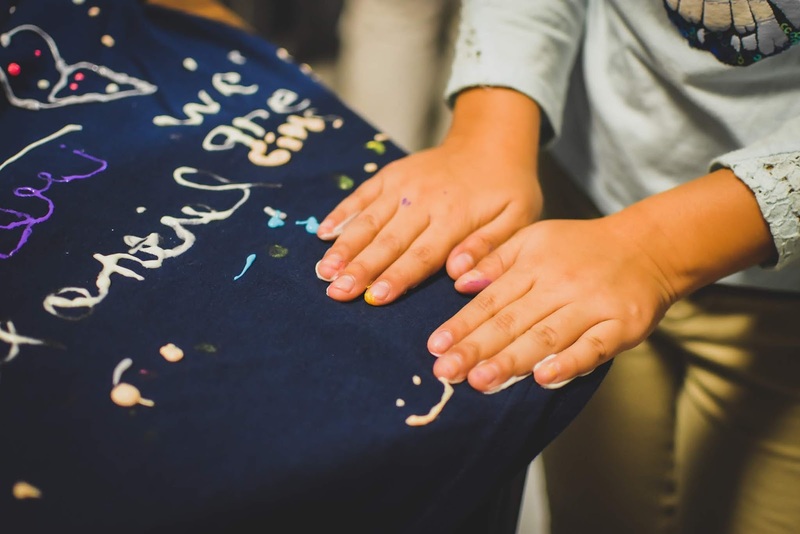 GOTR also organizes yearly summer camps, giving limitless fun options for third to fifth graders all year round. Coach Laura is the Coach for the local DC GOTR. She has been mentoring girls for about three years now. She was kind enough to invite me to one of the practice sessions to meet the girls, to help them design T-shirts for the run day, and for an in-depth conversation about GOTR. 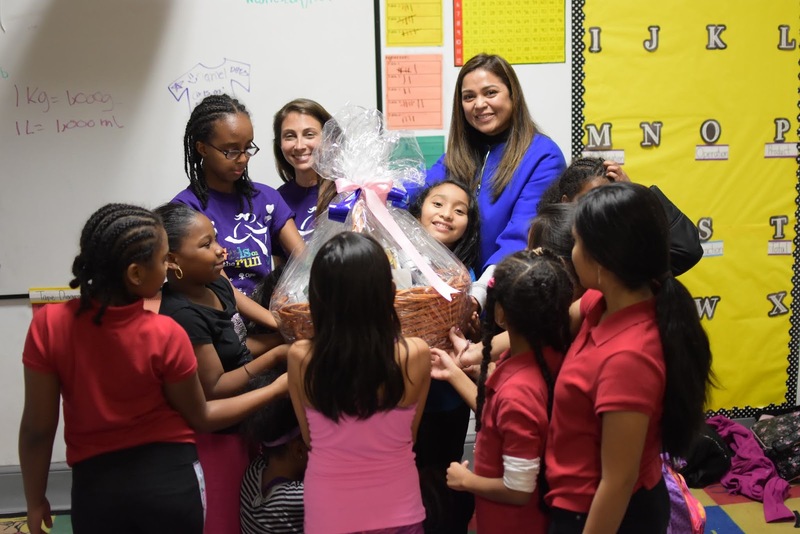 Courtesy of Always and Target, we gifted Coach Laura a care package to thank her for all the hard work she does to shape the lives of these girls, as well as $5,000 gift card to be spent on her amazing girls to get them new socks and sneakers, as well as other gear to keep them going. Below is a snippet from our conversation. S) What inspired you to become a coach, and how long have you been doing this? CL) I was looking to get involved with my local DC community so started searching online and inquiring among friends before finding Girls on the Run (GOTR) DC. I started running in my early 20s--as a kid, I never considered myself ‘an athlete’ and was inspired by the GOTR message of empowerment paired with running. So about 3 years ago, I started as a volunteer at one of the end-of-season GOTR 5Ks. This is a big event with upwards of 2 to 3 thousand participants, and as much a party celebrating the girls’ completion of the program as it the distance they’ve been training for. After that, I began volunteering as a member of “Team Adelaide” which serves to support the coaches of a GOTR team during visits at a few practices, and to substitute coach as needed. Instead of the 2 required visits per season, I ended up helping out with practices at least once a week. The coaches I worked with were inspirational and the girls so much fun—I was hooked. From there, I became a coach and I’ve been with DIH Elementary for 3 seasons now. S) What have you gained or learned from being a coach? CL) Twice weekly GOTR practice is the best part of my week. After rushing from my day job to the school, I’m met with big hugs, excitement for practice, and stories about what the girls’ days. At the beginning and end of each practice we tie the lesson to their lives at school and home, and its rewarding to hear how they apply what they learned. By the end of the season, each girl goes through remarkable growth, never mind the girls who come back for multiple seasons. I still get ‘hellos’ and hugs from previous participants. 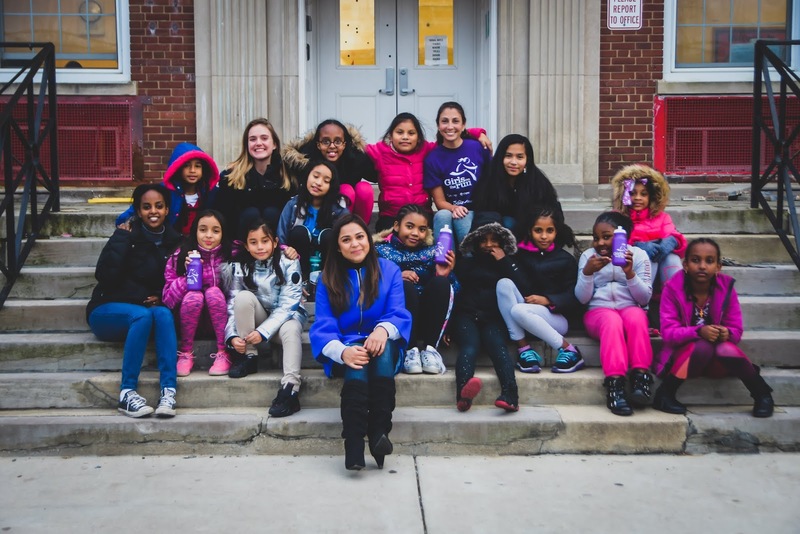 Even within our school, the GOTR team forms its own family that connects girls from different grades, classes, and years and coaches from the neighborhood. S) How does Girls on the Run help build confidence and why do you think Girls on the Run is a great program? CL) GOTR teaches each girl to identify and nurture her inner Star Power, the unique strength inside her. This concept is woven through a couple of the lessons: from ‘inner beauty’ when they focus on the beauty of their actions and values over aesthetics; to anti-bullying and confidence in the face of peer-pressure. 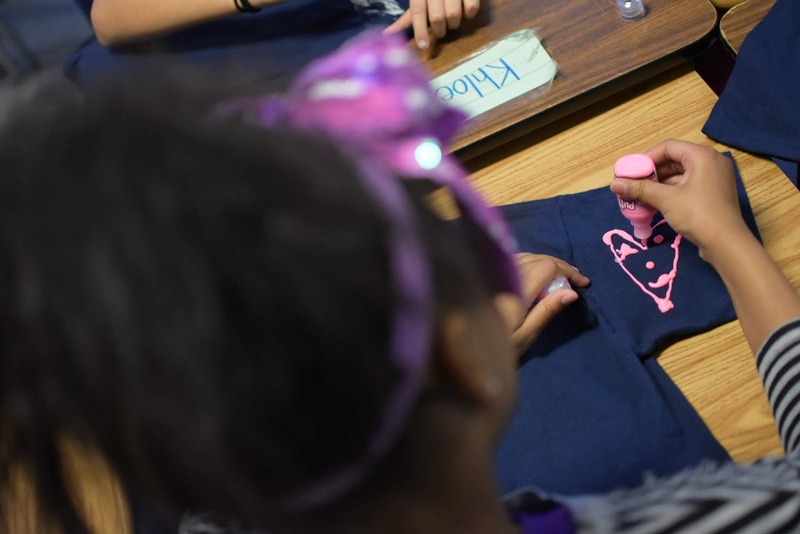 In addition to learning tools and strategies for their individual social, emotional, and physical growth, the girls learn how to support each other as a team. This means helping each other activate their Stars Power and protecting it from clouds that may cross their paths. S) How can other women get involved? CL) GOTR is in every US state and even has some international chapters. Getting involved is as easy as going to gotr.org and finding a local chapter or events nearby. If there isn’t one at your school, the organization can easily help you get one started. Volunteer options range from a few hours at the culminating 5k event, to the couple of practices as Team Adelaide, to being a dedicated site coach. For those with less time, there are also multiple fundraising options for individuals and corporate sponsors who want to support this 501(c)3 non-profit. This may be in the form of sponsoring a girl with new pair of running shoes, program scholarships, or a whole team’s operating costs. In my experience, the more I was committed to GOTR, the more I got out of it. Every GOTR session culminates with a 5k celebration. This year 1100 GOTR girls ran the DC 5k. It was a massive event with pre-run festivities- music, dance, hair spray and face painting were some of the highlights to get the girls excited. The grand finale was worth watching as runners came through the finishing line. There was this sense of accomplishment and excitement and victory amongst the runners for having finished strong. I will never forget this day and the whole experience and I am thankful to Always and Target for giving me this lifetime opportunity.